You know that phrase, "all boy?" I've never much liked that phrase, because what does that even mean? But if there were ever any boy who'd be called all boy, it is Huck. Huck is all boy. Whatever that means. Fart jokes, constant moving around, every story he writes at his preschool literature group ends with somebody pooping, he's got the manic energy of your classically mischievous, get-into-trouble, cannot-sit-still little boy. Huck also has a thing for lipstick. Any time I leave the house in lipstick, Huck insists on a wearing some himself. Because lipstick is beautiful, and who wouldn't want to look beautiful? I love Huck at this stage, because at this stage there are no limits to what a kid is allowed to like. Tinker Bell movies? Awesome. Teenage Mutant Ninja Turtles? Rad. Zombies? Obviously. Rapunzel? Yeah, Rapunzel has some really cool hair. At this age, Huck is allowed to like whatever he wants to like and society is pretty willing to give him a pass, and I hope so much to be able to preserve that little bubble of freedom for him for as long as humanly possible. It is such a fun time. Huck gets the concept of gender, instinctively I think all kids know exactly who + how they are, even if names or definitions are limited. But right now that's the extent of it. Nothing is "girly," nobody has cooties, there are no reputations to protect, everything is curiosity-driven, and enjoyment comes purely from a true gut level. Brandon gets a lot of credit for this one, Brandon is probably the most forward-thinking old-fashioned guy I've ever known. You want nail polish? Rock it, Huck. You like those pink skinny jeans over there in the girl's section? Dude, so do I, let's get them. Lipstick? Sure, you want red or pink? From day one Brandon has encouraged Huck to be proud of what he likes, it's been such a pleasure to watch. Brandon is a fantastic dad. The other day, Huck got his hair cut. His hair had reached that nutso shaggy stage where he was starting to look like an orphan from an 80s sitcom. Hair cuts are a collaborative effort at our house, the kid knows what the kid wants. My job is only to execute the final design. He very firmly requested a swoosh in the front--the swoosh is all-important--and then it needed to be long in the back, like Rapunzel's. I told him, "Huck, that is called a mullet. 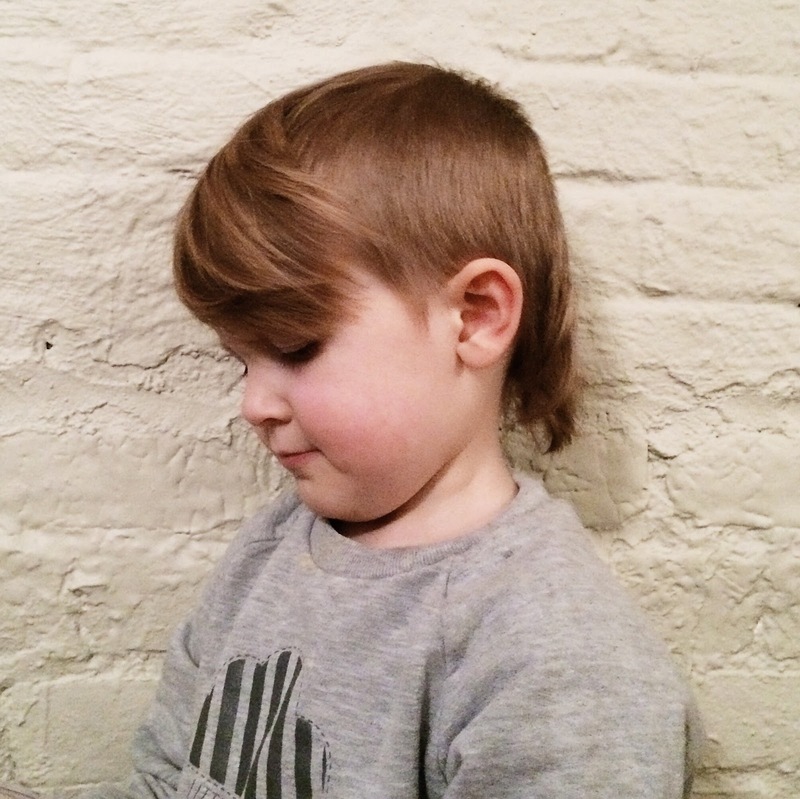 I don't think you want a mullet," to which Huck said, "but it's COOOOOOL." And so, we mullet-ed. I tried to err on the side of the Euro mullet. 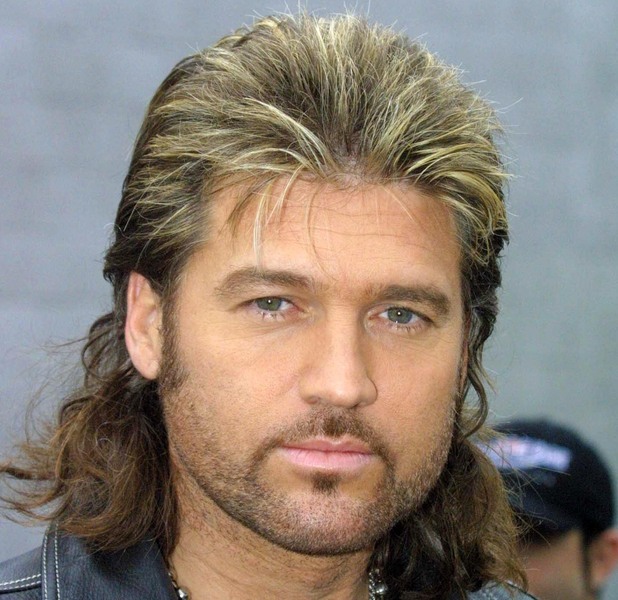 You know, more soccer, less Billy Ray. ;) I gotta say, I'm feeling it. Only a kid like Huck could pull this off, right? He is so proud of his super cool hair. I am so proud to be his mom. Some days I'm so proud I could burst. He's just such a rad human being to hang out with + occasionally shout "no running in the house!" at. Four is shaping up to be pretty all-right. It's a really good time to be Huck's mom :). OMG!!!! This is certainly a shocking and a genuine live Testimony!!!! It was hard for me to believe when i saw a comment on the internet regarding how Dr.Ogala help people winning lottery by sending them the winning numbers. This winning numbers are 100% guarantee that you must win the lottery. I give it a try and i won £3,000,000. My dreams came through when i email Dr Ogala and tell him i need the lottery numbers. i have come a long way spending money on ticket just to make sure i win. But i never know that winning was so easy until the day i meant the spell caster online which so many people has talked about that he is very great in casting lottery spell, so i decide to give it a try.I contacted this man and he did a perfect spell and he gave me the winning lottery numbers. I won (Three Millions Pounds) Dr.Ogala truly you are the best, with these man you can win millions of money through lottery. once again i say very big thanks to you sir for helping me to win the lottery, and please sir keep your good work because people need your help in their lives Email him: Ogalalotteryspell@yahoo.com or website http://ogalalovespell.wix.com/ogalalovespell call him +2348147673679. I've got one of these "all boy" boys, too. Imaginative and noisy and sweet, and usually dressed in head-to-toe black with purple glitter sneakers. Lovely post. Rock on, mama! I think my comment got deleted. But kudos to how you handle the gender question. I think I'll use your answer from now on. This time that you have with your first born, treasure it. There is a part of me that will always feel like I never got to spend enough time with just my oldest child. To this day, the times he and I shared together, the two of us, those are the sweetest memories I have. I love this post. My husband comes from a long line of families with ONLY boys, and I know technically every baby has the same probability re: gender, but I predict we'll have boys. I feel really weird about the phrase "all boy" and definitely think the phrase "boys will be boys" should never be uttered; it's so refreshing to see your take on parenting Huck! Definitely bookmarking this one in my "for future reference" folder. :) Keep being awesome, Holbrooks. I've been reading your blog for about 4 years and this is my absolute favorite thing you've ever written. I love that you are encouraging to Huck to be whoever you he wants to be right now and giving "wiggly" answers to gender questions. My wife is transgender and we often whine about the constrictions of the gender binary in our society. She works with young children and it's not uncommon for her to be asked, "Are you a boy or a girl?" Which is a good question and perfectly valid! I'd love to hear more about how you are dealing with Huck's questions in the future. We hope to start a family some day soon so these things are often on our minds. You and your husband are awesome parents! Applause! Double thumbs up. A fist bump and a little finger dance. This makes me happy. Rock on, Natalie! I'm not a parent myself, but it's still so inspiring and refreshing to see the way you're raising the next generation. Natalie, you & Brandon just keep on trucking. 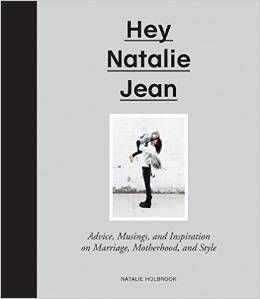 You are open and amazing, and are easily a truly beautiful guide on how to raise kids in this modern day. Thank you for being so forward-thinking. Huck's one lucky dude. I loved reading this. Keep doing what you're doing — what feels right to YOU and Brandon. I imagine you get a lot of comments on your parenting style on the internet (deep dark mean internet). Don't let anyone bother you. You're awesome and Huck is such a cool kid. You are just wonderful. This is how my Husband & I are parenting our daughter and hopefully we're doing it correctly. My Husband is frequently out in public with his nails painted courtesy of our daughter and it's always confused me why people comment on it - he always gets "you're so brave" and I think it's weird it's even comment worthy. Btw, Huck can certainly pull off that hairdo. He is one awesome kid. Love it! My little boy always wanted to wear nail plish...so he did. One time we went on holiday to Bali and he got a manicure everyday and the ladies would paint the teensiest flowers on his little finger nails! Fast forward now and he's nine and not at all interested in nail polish, but I am so glad he got to explore it when he did. Trust uour gut when your parenting, there are no rules, you can only do what feels right for you and your family. And thumbs up Brandon! This is fantastic. One day I took my two girls to a household with two little boys. My daughter was wearing sparkly red shoes. The little boy, maybe 3, gasped at how beautiful they were. "Fewfull!" Of course he wanted to wear them. I was so relieved that the parents were cool with it and let their son rock those sparkly red heels. OF COURSE a human would recognize beauty and want to drape themselves in that beauty, regardless of their gender. It's so natural. It's all the gendered ideas they get later that are unnatural. Anyway. Great job, you two. I honestly have a hard time with this sort of thing. My 5 year old likes dressing up his puppies in my twins old clothes, he often asks to watch power puff girls, the pony cartoon(i forget the name), and he has no interest in sports, and coming from a family full of tough men I question my parenting, does he need to be around more boys? what am I doing wrong? I think I just need to relax! his hair cut is cute by the way. I have always enjoyed your blog occasionally, but now that I'm a new mother contemplating how I will answer my daughter's bajillion questions (especially gender and other similar sticky subjects), I'm appreciating your perspective on parenting so much more. You're an awesome mom. Rock on. You guys are the cutest. Huck is lucky to have such wonderful parents. I've been an avid reader for years, and this is one of my favorite posts ever! I love how you let Huck explore his own path, regardless of gender. I've noticed it over the years, beginning with awesome picture of Huck at a birthday party wearing a tutu. Because tutus make anyone look like a rock star. What a lucky, lucky kid Huck is! You guys are rocking the parenting thing, I think. Thanks so much for sharing your perspective and experiences. Keep on keepin' on! And go, Huck! Such a wonderful post! I love your attitude towards the gender issue. Also, I love your writing :) That mullet is bomb, by the way. That mullet is RAD! i want one. You guys sound like such awesome parents. Huck is one lucky kid. Wow! What honest and open-heart and minded people you and your husband are. I think you're stance on organic self discovery is a beautiful thing and I'm sure your little man will grow into a wonderful and kind young man. My mother told me how she had a teacher that would let her classmates play dress-up and all the kids took turns wearing these bright red heels. Its that type of encouragement that nurtures tolerance and imagination. Btw, love the "party in the front, bizness in the back" cut. I'd like to suggest a rat tail for next time. Motherhood. You're doing it right. This post made me really happy. It's good to see that there are parents out there ready to really let their kids be themselves and enjoy whatever they find is cool. May I add that you've got an absolutely adorable child !!! Yeah, TrustMyPaper.com article about gender education was absolutely right, It scaring me. If you do not know what led you to pursue pharmacy, or you find that studying pharmaceuticals is not that captivating, you should stop here. Pharmacy school, along with post-graduate courses, is a laborious path, and if you are applying to this program just to please your parents or to deal with some external pressure, you will find yourself unhappy later down the road. Make sure your choice to attend is your own and not the decision of someone else. Hopefully, after reading this far, you now acknowledge the upsides and the downsides of this profession. Click pharmacy personal statement for detailed information.